The Women’s Fund stands with victims and survivors of sexual violence. 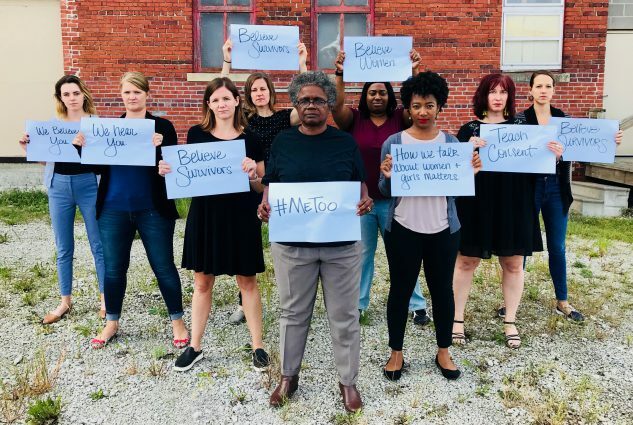 We stand—in solidarity—with survivors as they courageously share their traumatic and deeply personal experiences. We urge our elected officials to take seriously the reports against Supreme Court Nominee Brett Kavanaugh and ensure a thorough federal investigation before voting on his nomination. Almost 1 in 3 women will survive sexual violence in their lifetime. Many of those survivors will not come forward for fear of shame, not being believed or being re-victimized. When women take the bold step to speak out against the sexual violence they have experienced, it takes bravery, resilience and a fierce hope that their words will make the world a better place for women and girls. How we talk about women and girls matters. We urge our elected officials to send a strong message to all survivors of sexual violence through their investigation of these reports against Kavanaugh. The time is now to take a stand. Sexual violence can no longer be dismissed, ignored or excused as “boys will be boys.” It’s time to teach consent and hold offenders accountable. The Senate has the opportunity to both uphold the integrity of the Supreme Court and demonstrate their commitment to addressing sexual violence by providing for a fair and neutral investigation of the reports against Kavanaugh before voting on his nomination. Women and girls are watching. Men and boys are listening. Our collective future depends on it.